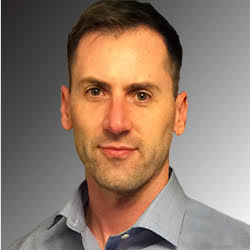 Matt is a clinical research consultant and medical writer. He has more than 15 years’ experience in prospective and retrospective clinical research, health economics, marketing research, and medical education for the pharmaceutical and medical technology industries. Areas of experience include neurology, cardiology, vascular surgery and endovascular repair, gastroenterology, psychiatry, dental health care, infectious disease, general surgery, patient-reported outcomes, and health services. He is a past Vice President of the Pennsylvania Chapter of the Society for Public Health Education, and is an active member of the American Medical Writers Association (AMWA) and the International Society For Pharmacoeconomics and Outcomes Research (ISPOR). He is also a graphic designer and an expert in the visual presentation of complex data illuminated by figures, posters, and slide creation. He earned a Bachelor of Science in Mass Communication from the University of Utah and Master of Public Health from Drexel University.